I told my husband about the opportunity, and he knew that it was a “must go” kind of opportunity. It is my most favorite piece of mail that shows up in my mailbox! I love it better than any other home décor magazine or other home catalog. I can seriously look at the pages for hours dreaming up ideas for my own home. So I was seriously pinching myself to be able to attend this event! 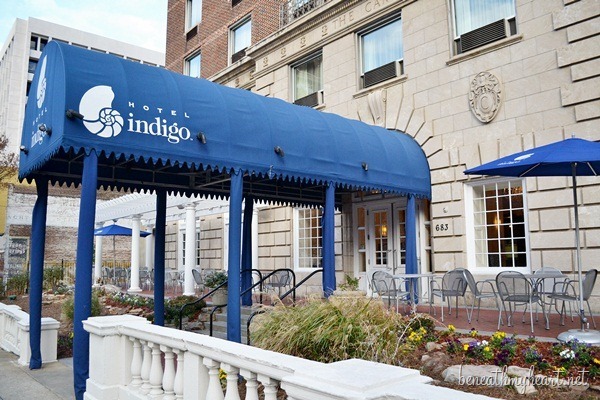 They flew me down to Atlanta on Tuesday, and I arrived at the beautiful Hotel Indigo. 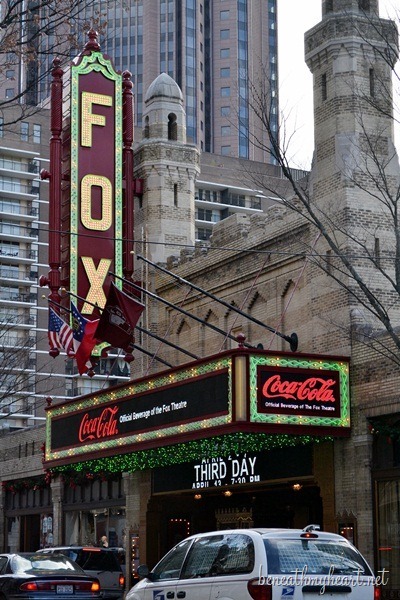 It sits diagonally across the street from the FOX Theater. As we drove up to the hotel, look what was on the sign at the FOX theater! Coca-Cola, baby! It was as if Coca-Cola itself was welcoming me to Atlanta. I felt right at home. 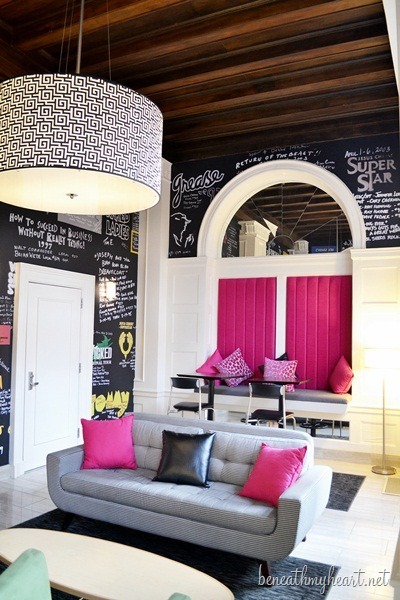 The interior of the hotel was so cool. 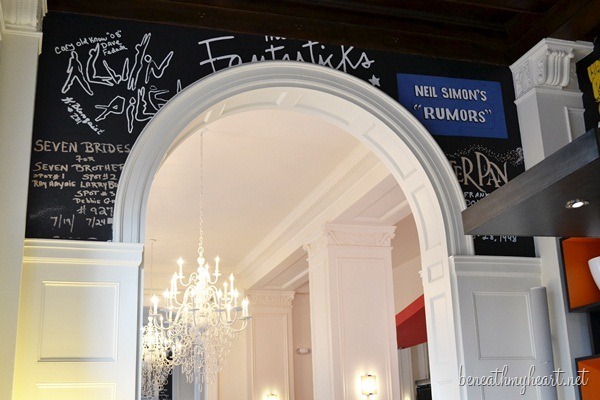 It was just recently renovated, and the walls had graffiti all over them. A hotel employee told me that they had wallpaper made to look exactly like the walls of the Fox Theater. 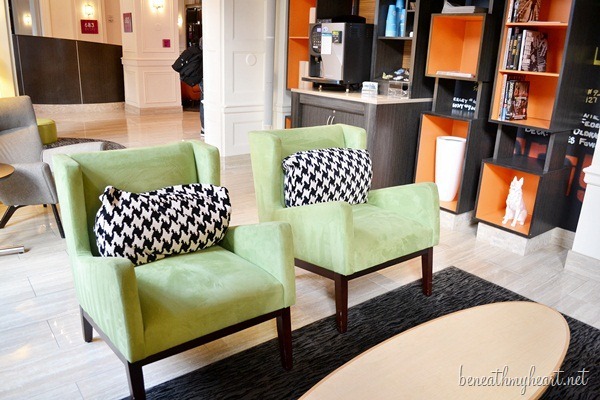 The furniture and décor was bright, new, and very cheerful! I loved all the details in the molding. 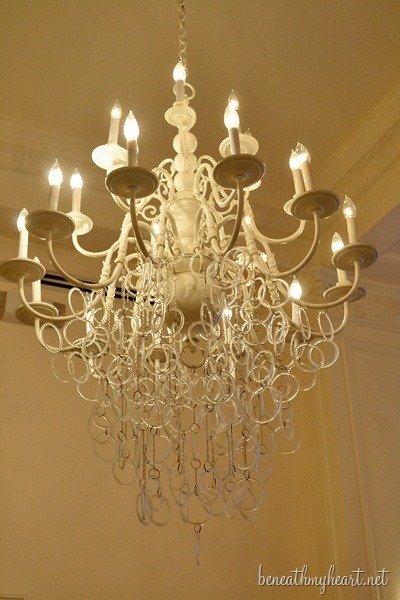 I would like to bet that those chandelier used to be brass and that they spray painted them white when they renovated the hotel. 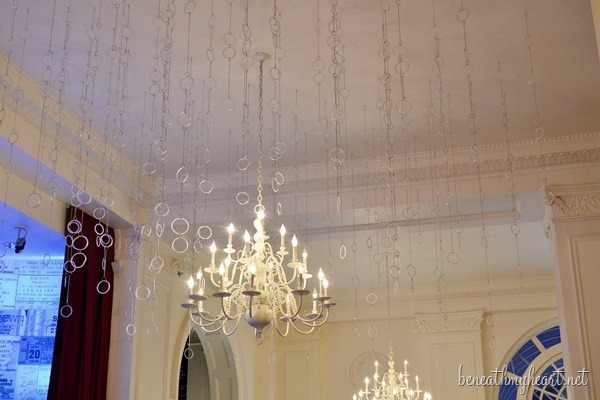 Check out the clear circle rings they added for detail. 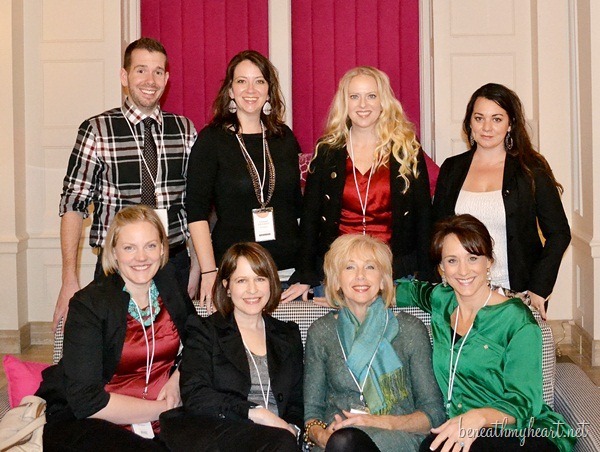 That evening, we were taken out to eat to a fabulous restaurant, Ecco, with many of the Ballard Designs’ staff. I got to sit by Mollie, Ballard’s Marketing Manager. Funny, funny, girl! I think I could talk to her for hours. She was so genuinely excited to have us bloggers there! 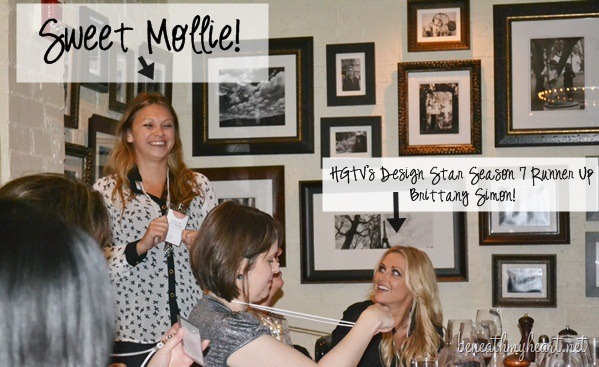 We also got to eat dinner with Brittany Simon, HGTV’s Design Star Season 7’s Runner Up. There was a ton of blog talk during dinner, and then we headed back to the hotel to hang out in the lobby together. 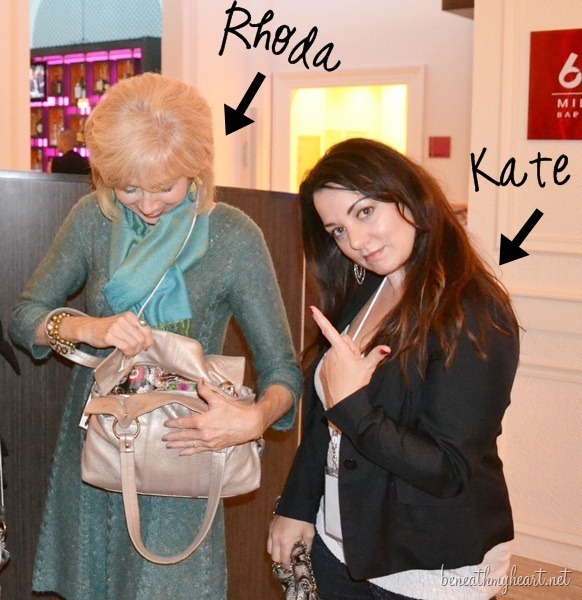 Here is Kate posing for me, and Rhoda looking for something in her purse. 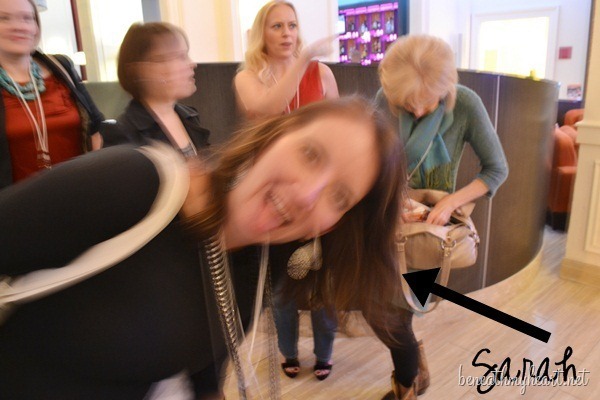 I cannot tell you how much I love my blog girlfriends. We talk daily online, but it is so much more fun when we can hang out together in real life. We ended up talking for about 2 hours in the lobby before we headed to bed. All of the girls in the picture below have been my blog buddies for quite some time, but I also had the pleasure of meeting a new blog friend, Michael from Inspired by Charm. He was one of the kindest people I have ever met. He was so polite, respectful, and a true gentlemen. He was always opening doors for us and letting us walk in front of him. So, so sweet! There were four other ladies who attended the event who are Interior Designers from Atlanta. They didn’t stay at the hotel which explains why they are not in the picture. But we got to hang out with them a lot on Day 2, so I will share more about them in my next post. I took so many pictures on the second day of my trip that I decided to break this event into two posts. I cannot wait to show you what we did on Day 2! 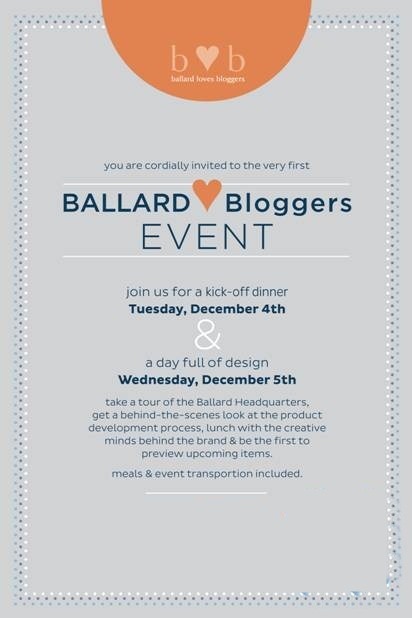 HINT: Let’s just say that I may or may not have been spotted on the next cover of the Ballard Designs’ Catalog. « Haven 2013! Here we come! Oh, how fun! Looking forward to hearing about day two! 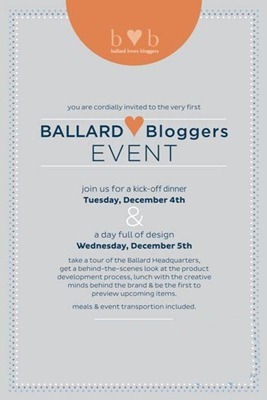 I discovered Ballard Designs through your blog! So love their stuff and wish they had a store where we live. I guess it’s good that they don’t, but we are getting the catalog now, and it’s totally drool worthy :)! Love their stuff and love your blog! It was such a joying meeting you too!! What a fun trip we had! !